The state of Sikkim is located in the Himalayan foothills and is treated by every tourist as the abode of nature. The place is the perfect blend of lush green valleys and snow covered mountains. Gangtok is not just the largest city in Sikkim but also its capital. The state is characterised by its mountainous terrain and the extravagance of its natural beauty will leave every spectator bewildered. You will find around 28 beautiful mountain peaks and five major hot springs. It is the least populous state in India which makes it a must-visit destination for everyone looking for serenity. If you are more than eager to enhance your life with some sweet travelling experience then Sikkim is the place to visit. This state is one of the most preferred destinations for all travel lovers. The Himalayan environment offers a natural soothing effect, while the snow-capped mountains, gurgling streams, are blooming with flora and fauna. A land rich is culture and a large number of monasteries, is a must-visit place if you want to relish the sheer pleasure of untouched natural beauty. Through the years, the state has projected itself to be a new world comprising of friendly residents, serene monasteries, and fabulous vistas. Our Sikkim Tour Package offer tourists the golden opportunity to have some trekking experience through the appealing valleys and pine forests. It is the hub of river rafting and mountaineering expeditions, no doubt this abode of nature is now a famous tourist destination. To know more you may visit Sikkim Tourism, Government of Sikkim. 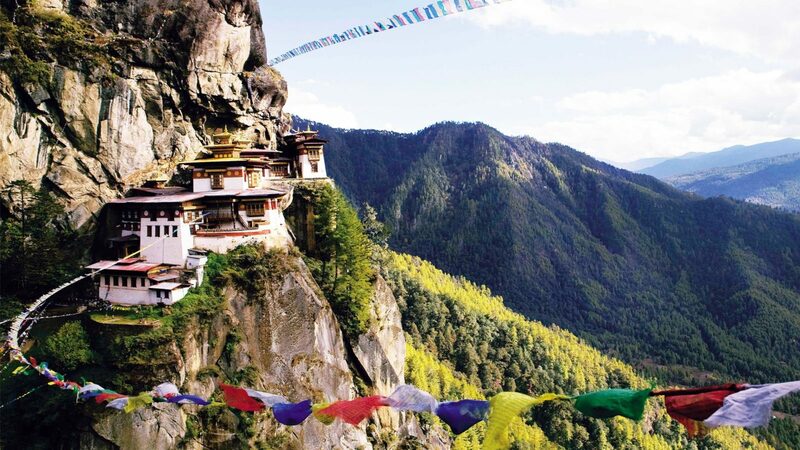 Monasteries: Being the homeland of numerous devotees, the place has almost 200 monasteries scattered all over the charming hilltops, offering meditation to soothe the soul. Few famous monasteries are Tashiding, Rumtek and Pemayangtse. Sanctuaries: The magnificent arrangement of flora and fauna is the grandeur of Sikkim. It has a rich heritage of wide variety of flowers and the dense forest is the homeland of numerous animals. Avail our Sikkim Tour Package and enjoy the splendour of 450 bird species, 450 orchid varieties, 40 rhododendron species, and 400 butterfly species. Yuksom And Dzongri Peak: Sikkim is the heavenly kingdom for trekkers. Explore a trekking experience from Yuksom to Dzongri Peak as it is both, adventurous and challenging. The most famous trekking place in Sikkim is Goecha La, as it takes you closer to the enormous Kanchenjunga. Lachung – The distance between Gangtok and Lachung is around 120 km and will take around 5 to 6 hours to reach as the region has a mountainous terrain. Though being a very small village, its serene beauty will leave every tourist mesmerised. Few places to visit in Lachung are the Yumthang Valley, Zero Point and Yumesamdong. Though the beauty of Sikkim stays intact throughout the year, the best time to visit is either between October to mid-December or between March and May. Sikkim looks lovely and pleasant during the summer months as the temperature generally varies from 50 to 250 C.
Day1: NJP/Bagdogra to Gangtok: Pick Up From NJP/Bagdogra and transfer to Gangtok, Most Popular Hill destination of Eastern Himalayas. It is situated at an altitude of 5500 feet above sea level. Gangtok Is Capital of Sikkim. Night stay at Gangtok. Day2: After Breakfast Transfer to Changu or Tsomgo, Lake Baba Mandir. Changu lake is Glasial Lake and Altitude Is 12400. Changu is one Of Beautiful lake of East Sikkim and popular destination. Night stay at Gangtok. Day3: Full day local sightseeing, Visit Rumtek Monastery, Ranka or Lingdum Monastery, Nehru Botanical Garden, Ban Jhakri Waterfall, Shanti View Point, Enchey Monastery, Ganesh Tok, Institute of Tibetology, Ropeway, Tashi View Point. Night stay at Gangtok. Day4: Transfer to Pelling: Transfer to Pelling, Altitude is 7050 ft. Peling Is Small town of West Sikkim District. Night stay at Pelling. Day 5: Pelling: Enjoy Sightseeing of Pelling, Visit Kanchenjunga Falls, Khecheopalri Lake, Pemayangtse Gompa, Singshore Bridge, Rabdentse Ruins, Rimbi Waterfalls and Night stay at Pelling. Day6: Pelling to NJP/Bagdogra Airport: Transfer to NJP or Bagdogra Airport, Tour End. Day1: Gangtok: Pick up from NJP/ Bagdogra and transfer to Gangtok. Night stay at Gangtok. Day2: Gangtok Sightseeing: Visit Changu baba mandir and night stay at Gangtok. Day4: Pelling: Transfer to Pelling Via Chardham, Namchi, Temi Tea Garden. Night stay at Pelling. Day5: Pelling Sightseeing: Full day sightseeing. Visit Kanchenjunga Falls, Pemayangtse Gompa, Khecheopalri Lake, Rimbi Waterfalls, Rabdentse Ruins, Singshore Bridge etc. Night stay at Pelling. Day1: NJP/ Bagdogra to Peling: Pick up from NJP/Bagdogra and transfer to Gangtok, Beautiful City of Eastern Himalayas. Day2: Gangtok: Visit Chagu, Babamandir and Nathula. Night stay at Gangtok. Day3: Gangtok: Gangtok Local sightseeing, Visit Ranka Monastery, Nehru Botanical Garden, Rumtek Monastery, Tashi View Point, Enchey Monastery, Institute of Tibetology, Ropeway, Night stay at Gangtok. Day4: Transfer to Pelling: Transfer to Pelling and Night stay at Pelling. Day 5: Pelling: Full day sightseeing at Pelling, Enjoy Kanchenjunga Falls, Khecheopalri Lake, Pemyanangtse Gompa, Singshore Bridge, Rimbi Waterfalls and night at Pelling. Day6: Transfer Darjeeling: Early Morning leave for Darjeeling, Queen Of Hills, one of Popular Hill City. Darjeeling is world famous for Tea and Orange. Night stay at Darjeeling city. Day7: Darjeeling: Early Morning Visit Tiger Hills, Ghoom monastery and Batasia loop. Back to hotel and after breakfast enjoy sightseeing of Himalayan Mountaineering Institute, Tibetan Refugee Self Help Center, Darjeeling Ropeway, Happy Valley Tea Estate, Japanese Temple & Peace Pagoda etc and night stay at Darjeeling. Day8: NJP/ Bagdogra Transfer: After Breakfast transfer to NJP/ Bagdogra. Tour End. Day 1: Arrival at NJP/ Bagdogra and Transfer to Okhre, one of Remote Village of West Sikkim, popular for Village life, Birding and adventure. Night stay at Okhre. Day 2: After Permit from Hilley start trekking for Barsey through Rhododendron Sanctuary. Barse is popular birding and adventure destination. Night stay at Barsey. Day 3: Early Morning Enjoy Sun rise from Barsey and after breakfast back to Hilley and transfer to Chayatal. Chayatal is a new and offbeat destination of west Sikkim. Night stay at Chayatal. Day 4: Transfer to Kaluk, a small village of West Sikkim. Night stay at Kaluk. Day 5: After breakfast Visit Poision pokhri, Resume Monastery, Rabindra smiriti van, Traditional lepcha house. Night stay Kaluk. Day 6: After breakfast move to Borong, one of unknown village of South Sikkim, After Lunch you can enjoy village life of Borong. Night stay at Borong. Day 7: Full day Sightseeing. Visit Namchi, chardham, Temi Tea Garden and overnight Stay at Borong. Day 8: Transfer to NJP/ Bagdogra. Tour End. Our assorted tour package comprises of essential activities and appealing sightseeing. A wide range of package is offered to suit your individual preferences and budget. The package aims at introducing you to exotic people, landscape, wildlife, and culture of Sikkim. Expect to have a journey with like-minded tourists and friendly tour manager. With a focus on 100% client’s satisfaction, we offer value for money. Carry basic medicines like septic cream, band-aids, paracetamol, allergic tablets, vomiting tablets and more. All the north-eastern states are well connected by roads with many urban areas. Bus services are available from Siliguri to Sikkim and Gangtok. Though the roads might be a little bumpy, the steep and narrow slopes will give you some memories for life. The nearest airport to Sikkim is the Bagdogra airport in West Bengal. Situated at a distance of about 124 km away from Gangtok, you can easily book private vehicles or shared taxis from the airport to the city. If you are travelling to Sikkim by bus, there are numerous regular buses from Siliguri to Gangtok. You can even hire taxis or private vehicles to reach Sikkim.